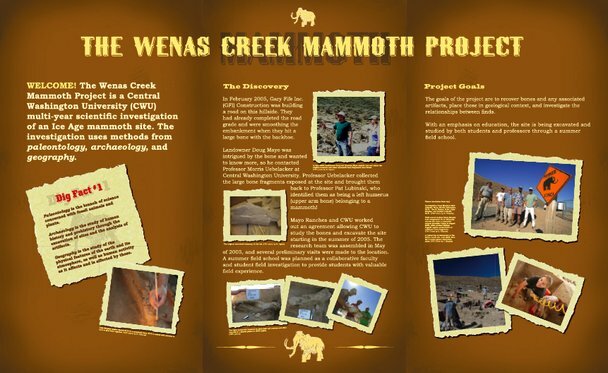 Description: An interpretive traveling field museum for the Wenas Creek Mammoth Project. 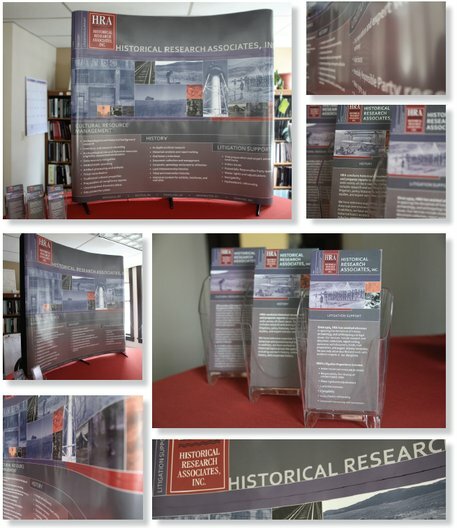 Project included design/development of 9 panels, a banner, and exhibit layout plan. 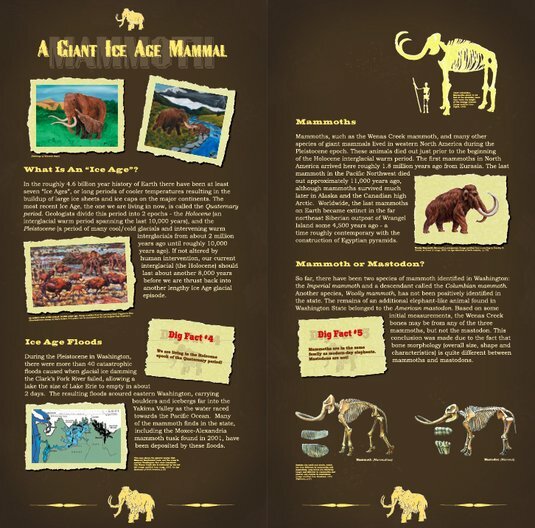 Concept: Paleontology, archaeology, and the wild west. Science lesson meets traveling side-show. 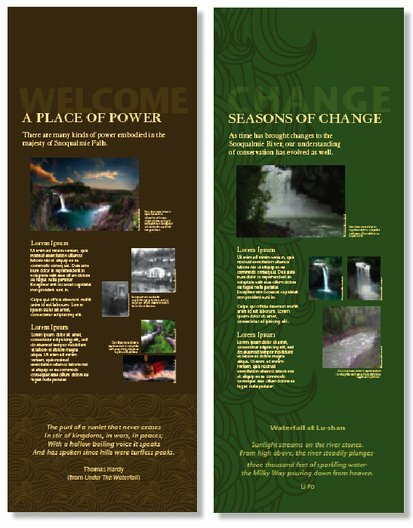 Description: Interpretive panel concept development and design for the Snoqualmie Falls Park visitor’s center and trail (over 100 panels total). This image shows a mock-up of vertical panel installation. 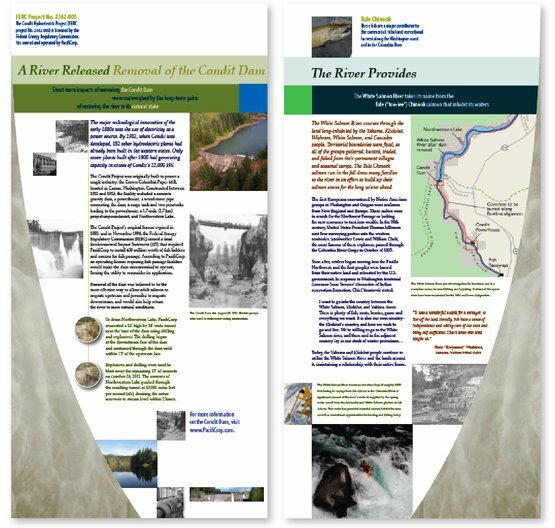 Concept: Water and power – in it’s many forms. Natural, historical, evocative. 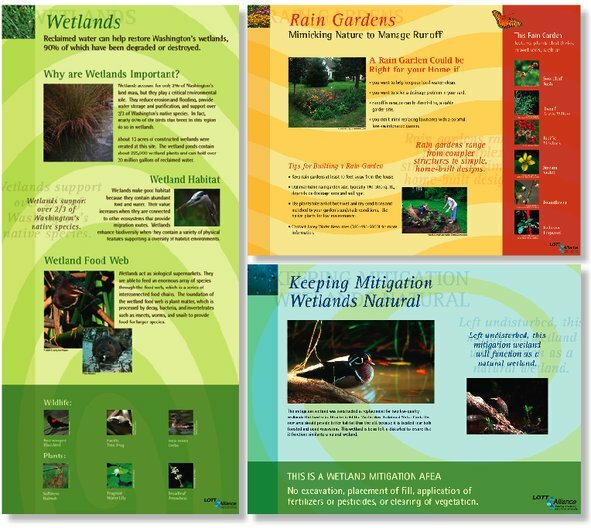 Description: Interpretive panels highlighting wetlands for an outdoor trail and indoor facility. 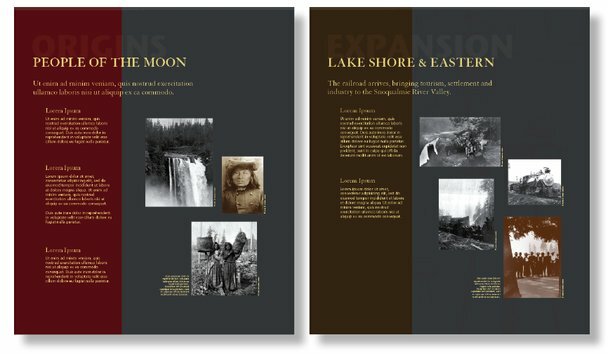 This project consisted of 38 individual panels. Concept: Flow, water, regeneration. Fluid nature (outdoor panels), modern water technology (indoor panels).